Queen Victoria was not at all amused: “We do not believe that anyone could be insane who wanted to murder a Conservative Prime Minister.” The target of a number of assassination attempts herself, she was upset enough upon hearing the verdict in the trial of Daniel M’Naghten that she complained to the Prime Minister, prompting the House of Lords to revive an ancient right to intervene by directing the Supreme Court of Judicature to respond to five questions about the case. Setting aside the queen’s implication about the political affiliation of the victim, the facts are well known. M’Naghten had exhibited symptoms of mental illness for at least a couple of years, his landlady reporting that he believed there were devils in human form seeking to kill him. Those devils evidently enjoyed the form of conservative politicians because some time later, he applied to the London Police for protection from the Tory persecutors who sought his life. On January 20, 1843, a few days after being seen loitering suspiciously near Whitehall, he mistook Edward Drummond for Peel, walked up to him in broad daylight, drew his gun, and shot him in the back. When brought for trial and asked for his plea, he asserted that he was “driven to desperation by persecution” and that he was “guilty of firing.” After testimony by a number of witnesses, including physicians who testified that M’Naghten’s delusions deprived him of control over his actions, he was found not guilty on the ground of insanity. For many years, the M’Naghten test defined the circumstances under which a defendant could succeed in using insanity as a defense to a crime. The test developed in response to the five questions put to the Court of Judicature by the House of Lords: a person is not guilty if, at the time of the person’s actions, he either did not know the nature or quality of his actions or did not know what he was doing was wrong. In modern parlance, there are two tests, either of which may be sufficient for an insanity defense to succeed: the “cognitive capacity” test and the “moral capacity” test. But it is the response to the fifth question in particular that interests me today, in which the Court noted the impracticality of deciding the legal question of insanity with science alone; instead, “each of those questions involves the determination of the truth of the facts deposed to, which it is for the jury to decide, and the questions are not mere questions upon a matter of science.” The record of the case can be found here. As Jared Loughner entered a plea of not guilty on Monday after opening fire in Tucson earlier this month, killing a federal judge and seriously injuring a member of Congress, many have questioned to what extent an insanity defense might apply. The parallels with the M’Naghten case are difficult to avoid: Loughner appears to have been suffering from a number of delusions, and irrationally focuses responsibility for his ills on the U.S. government. What is perhaps most surprising, though, is how little the view about the role of psychiatric science in bearing on the question of insanity has changed in 150 years. After all, the last few years have seen tremendous advances in understanding the structure of the human brain and the physiological relationship with many mental illnesses: the technique of functional MRI allows specific brain structures to be associated with different activities, different thoughts, different senses, etc. [T]he diagnosis may mask vigorous debate within the profession…. [T]his professional ferment is a general caution in treating psychological classifications as predicates for excusing otherwise criminal behavior…. [T]here is the potential of mental-disease evidence to mislead jurors … through the power of this kind of evidence to suggest that a defendant suffering from a recognized mental disease lacks cognitive, moral, volitional, or other capacity, when that may not be a sound conclusion at all…. These dangers arise because of the imperfect fit between the questions of ultimate concern to law and the information contained in a clinical diagnosis. Contrary to widespread conception, insanity defenses are only rarely raised and even more rarely succeed. 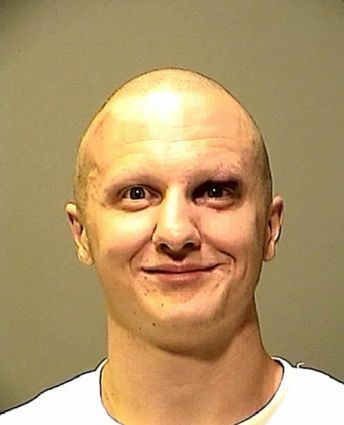 By all accounts, it appears that Loughner did indeed possess moral capacity when he opened fire, even if he was suffering from certain delusions: his statements on his Myspace page and his quick statement to “plead the Fifth” when he was arrested demonstrate a knowledge that he well understood what he did was wrong. I suspect that an insanity defense, if raised, will fail. But at the same time, as someone who generally believes that we make better decisions when we have more information rather than less, I’m uncomfortable with limiting the evidence of mental illness that a jury can consider when evaluating that defense. It was while Samuel Hahnemann was translating a book by William Cullen in 1789 that he encountered a description of how Peruvian bark could be used in treating malaria. In his book, Cullen attributed the effectiveness of the bark to its bitter and astringent properties. Only 24 years old at the time, Hahnemann impetuously added a footnote to the translation disagreeing with the explanation and noting that there were other substances even more bitter and astringent that Peruvian bark that were were ineffective against malaria. Instead, Hahnemann drew from his own experience taking toxic doses of the herb, conscious of how his body responded with fever and chills that he found similar to the symptoms of malaria. 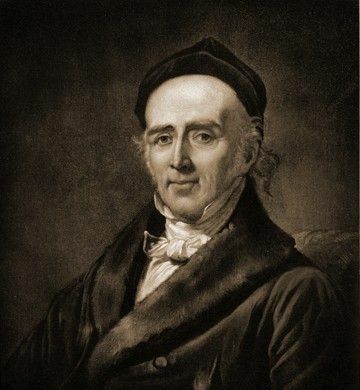 It was thus that Hahnemann developed the “law of similars” that is embraced by homeopaths, the word “homeopathy” being a combination of the Greek words “homoios” (“similar”) and “pathos” (“suffering”). The idea was that disease could be prevented by using a substance to cause the body to react in a way that was similar to its reaction to disease. While homeopathy is not accepted by modern medical science, the idea was not particularly outlandish considering the state of medical understanding at the time. It was, after all, around the same time that Edward Jenner discovered that smallpox could be prevented by deliberating infecting people with small doses of cowpox to produce symptoms similar to those of smallpox. 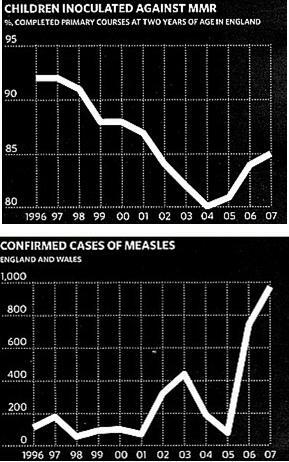 I described some of the history of that development of vaccination here. Because the substances used to induce certain conditions were toxic and potentially dangerous, Hahnemann proposed to use extreme dilutions, so much so that none of the original substance would remain. He proposed dilutions of 30C, meaning that the substances were to be diluted by a factor of 100, with the dilution repeated 30 times. His proposed dilution is accordingly 10-60, a dilution so severe that it would be necessary to consume a liquid remedy that is roughly 10 billion times the volume of the Earth in order to consume a single molecule of the substance. The dilution is so great that the effectiveness of homeopathic remedies is often attributed to the placebo effect. While homeopathic medicine had a considerable following through much of the 19th century, it was ultimately displaced by the development of modern medicine around the beginning of the 20th century. 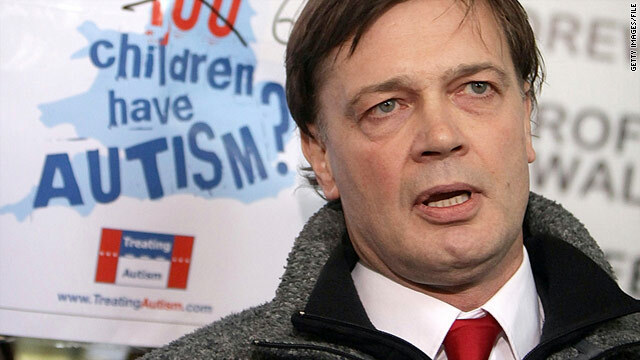 Prompted primarily by concerns about the potential toxicity and side effects of now-conventional medicines, homeopathy began a resurgence sometime in the late 1970’s or early 1980’s. There are virtually no adverse side effects with homeopathic treatments because the active ingredients have been so diluted as not even to be present, and this is one of its main attractions. But some companies have wished to have their cake and to eat it to. The cold remedy Zicam, taken as a nasal spray, is a notable case in point. Marketed as a homeopathic remedy, it is prepared with highly diluted galphimia glauca, histamine dihydrochloride, luffa operculata, and sulfur. It also includes only modestly diluted zinc acetate at a dilution of 2X, i.e. 1/100th dilution, and zinc gluconate at a dilution of 1X, i.e. 1/10th dilution. These zinc compounds are at a level where they may still be biologically active, suggesting that the remedy is intentionally prepared so that it may be marketed as a safe homeopathic remedy while also including a biologically effective solution of 10% zinc gluconate. In 1999, a small number of physicians began noting that some of their patients developed anosmia — loss of the sense of smell — after consuming Zicam. Familiar with studies dating from at least the 1930’s associating intranasal application of zinc sulfate with anosmia, those physicians questioned whether there was sufficient zinc compound in the remedy to be causing anosmia in patients. There have been a number of reports suggesting an association, but the numbers are small — small enough that the manufacturer maintains they are not statistically significant while noting that there are many causes for anosmia. It is fair to say that it remains unclear whether the zinc compounds in Zicam are responsible. Last week, the Supreme Court of the United States heard oral arguments in the case of Matrixx Initiatives v. Siracusano. At issue is whether Matrixx, the manufacturer of Zicam, had a duty to report the concerns over a causal relationship between Zicam use and anosmia to investors. Even if public response is based on an unsubstantiated link, there is still an impact on sales of the product and on the value of an investment in the company. The issue is not an easy one, but it is easy to see both sides of the argument. On the one hand, a company should not need to respond to every unsubstantiated allegation, rushing to inform investors that it has irrationally been accused of something. But conversely, this is a case where the concerns — even if perhaps not well nailed down statistically — are being raised by legitimate physicians on the basis of past, relevant research. A transcript of the entire oral argument can be read here. How the Court will ultimately decide the case is unclear because the facts are not clear-cut. But the principles it will use are well-defined. Companies are liable if they fail to disclose information that is considered “material” in that it will affect the value of the product and if they have failed to disclose that information with an intent to mislead. Regardless whether the value that many consumers find in homeopathic remedies is substantiated, they deserve, as always, to have accurate information about what they are consuming. In October last year, an elderly man in Dougherty County, Georgia was operating a bulldozer when he accidentally disturbed a bee colony. He died after being stung more than 100 times, and investigations into his death confirmed that africanized honey bees have now taken up residence in the state of Georgia. At least two other hives of africanized bees have since been discovered within the state. The first that many heard of africanized bees was seeing The Swarm sometime in the 70’s, an overly sensationalist movie in a decade that saw far too many melodramatic disaster films. But the underlying premise of the movie — that africanized bees are more aggressive than the strains of honeybees introduced into North America by Europeans in 1691— was essentially accurate. It was in 1957 that 26 Tanzanian queen bees were accidentally released into Brazil by a beekeeper who was attempting to breed a strain of bees that would have greater honey production than local bees, while also being better adapted to a tropical climate than European bees. The africanized honey bees that have steadily been expanding their territory into the southern United States are directly descended from those Tanzanian queens. The concern to humans and animals over the encroachment of africanized honey bees is surely overblown; since their initial colonization in Texas in 1990, they have been responsible for fewer than 20 human deaths. The greater concern is with their displacement of the European bee population because of a fundamental difference in their behavior traits. Africanized bees put greater effort into colony reproduction than do European bees, who instead spend more time on the collection and storage of food, resulting in their critical role of pollenizing roughly 35% of the food supply. It seems, though, that the africanized bee is not even the greatest concern facing the European bee population. In 2006, large-scale losses of managed honeybee colonies were noted in the United States and in parts of Europe. The impact is perhaps felt nowhere more sadly than West Virginia where, in 2002, the honeybee was named the state’s official state insect. 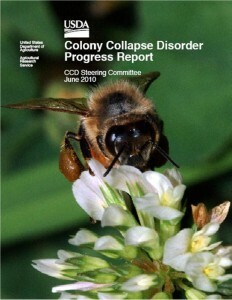 While similar bee declines have been documented since as early as 1869, the recent reduction was considerably more severe, leading to its characterization as “colony collapse disorder.” While some speculative ideas have been put forward as possible explanations, including the effects of mobile-telephone radiation (one begins to wonder what cell-phone radiation is not blamed for these days), genetically modified crops, or the effects of global climate change, there is little if any evidence for these mechanisms having an impact on bee colonies. The reality is likely much more prosaic, with insect diseases and pesticides being the two causes that have received the most study. Indeed, in October, a paper was published suggesting that the disorder was due to a combination of a virus and fungus that were found in every killed colony that was studied, leading some to claim that the mystery had been “solved.” Time will tell, but a copy of the paper can be found here. What is interesting about the disorder from a legal perspective are the Pollinator Protection Act and the Pollinator Habitat Protection Act, both of which were introduced in Congress in 2007 to provide mechanisms through the Farm Bill to fund a number of programs to research and develop potential solutions. These programs include the surveillance of pests and pathogens that affect honeybees as well as research into the biology of honeybees so that causes of the disorder can be better understood. Last month, the second annual report — also mandated by the bills — was released and can be found here. It is fair to say that the reported results so far remain inconclusive. The best hypothesis appears to be that the disorder is a result of multiple factors that may at times act in combination, making the problem a difficult one to solve. There is no question about the importance of honeybees to pollination, but the lack of a clear understanding of the population decline has begun to increase interest in promoting alternative pollinators. While the European honeybee is undoubtedly the most important, it is estimated that there are about 4000 species of bee native to the United States. Changes in farming practices to promote the activities of these other bee species might help to accommodate the decline. But one is left with the obvious question: If the mechanism that is affecting honeybees remains poorly understood, what is the chance that it will eventually spread to other bee species?